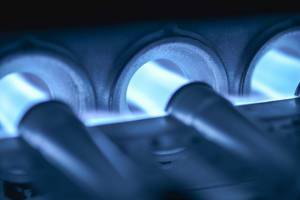 Have been burned in the past by the cost of Keeprite furnace repair in Markham? When your furnace is giving you trouble, the volume on the other things in your life seems to get dialed down a bit. In psychology, Maslow’s Hierarchy of Needs says that we can’t concentrate on higher-minded things unless we have all of our base physiological needs met; a warm home is one of the most fundamental things we need in life. With your family starting to shiver, you scramble to find a Keeprite furnace repair service in your area. Unfortunately, in this era of phony web reviews and unregulated internet classified listings, it can be hard to find someone qualified for the job. Choosing the wrong Keeprite furnace repair company in Markham can mean frustrating waits, shoddy workmanship, and pricey service fees. Alternately, you may have been burned by simply waiting too long to schedule your Keeprite furnace repair. The longer you neglect to schedule your maintenance, the more costly it will be! But how do I know when it’s time to schedule a Keeprite furnace repair? If you want to save money on your next Keeprite furnace repair, you need to know how to identify and treat the little problems that turn into big problems. To make that possible, Constant Home Comfort would like to provide a few Keeprite furnace repair troubleshooting tips. These furnaces are very complex, leaving only so much that the homeowner can do without the help of a professional, but the following tips will give you a good knowledge foundation. I start my furnace, but nothing happens. Check to see whether or not the igniter is glowing. If it’s not, you’ve got a bad igniter, but fortunately it’s a very easy fix. Typically these are held in place by two screws which are easily removed. The igniter is usually held in by a little clip. They come in a variety of styles: some are circular, some are flat. They are very easy to change. You just have to unplug the igniter, then plug in the new one. Every homeowner should have a backup igniter because it can save you a very costly service call. My furnace turns on, but the flame goes out after a few seconds (or continues turning on and off). 90% of the time your problem can be traced to a dirty flame sensor. This is a very easy problem to fix as well. It’s probably not a bad idea to have a backup flame sensor on hand, because fixing this issue is as easy as troubleshooting the igniter! You should clean the flame sensor once per year minimum. Most are held in place by a screw – remove it and clean the sensor off using a very fine cloth. Don’t touch the rod itself because you don’t want to get oils from your finger on to it. Cleaning this once per year will solve one of the most common problems with furnaces. These two tips should help keep you free of the more costly Keeprite furnace repairs you will encounter. However, furnace issues are not always treatable with DIY fixes. When it’s time to call in a Keeprite furnace repair professional in Markham, visit our furnace service page to take advantage of our years of experience and affordable pricing.